The number one storyline (maybe number two behind Theodore’s contract) heading into the 2018-19 season is the mystery behind the third center spot. 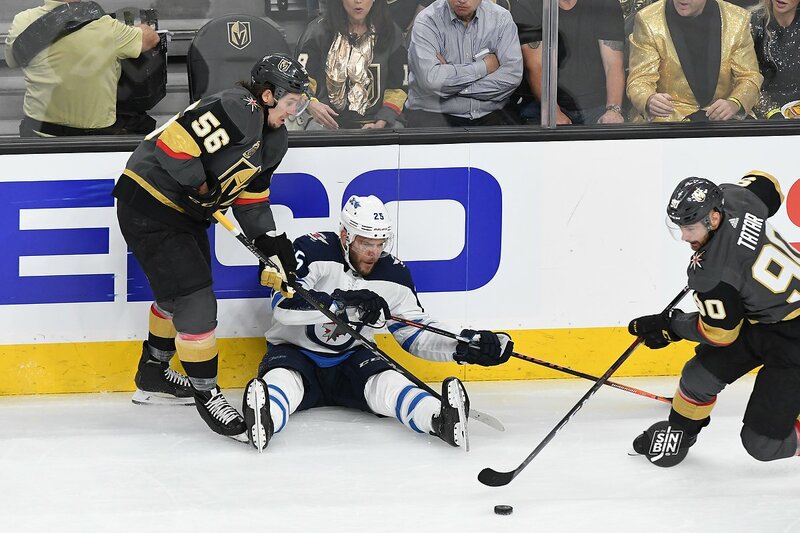 With the signing of center Paul Stastny it’s assumed either Erik Haula or Cody Eakin will no longer man the middle of the ice for the Golden Knights. Haula has said in the past that he “obviously likes playing in the center” and his career year statistically backs up his claim. Appearing on the Golden Knights official podcast, SLGND, Stastny was asked by Gary Lawless, “Is there a player you think will fit nicely with you?” Stastny was anything but committal in his answer, but the names he mentioned, and more importantly the one he didn’t, might give us a little preview into the Golden Knights’ plans for the second line heading into training camp. Yeah, I don’t know… From what I heard, Tuch kind of came into his own as the season went on. I thought he blossomed really well and did really good the second half of the season. And then if potentially they might put Haula on the wing, and I wouldn’t mind that because someone like that with so much speed… sometimes it’s easy to play with those guys. Especially who has a background at center because you don’t have to be the first guy back all the time. It’s easy to kind of switch positions and always be moving and play on the fly. It comes across much stronger as a transcribed quote than it does actually hearing him say it, so be sure to give it a listen, but Tomas Tatar’s name is nowhere to be found in that answer. If indeed Jack Adams winner Gerard Gallant chooses to put Tuch, Haula, and Stastny together, that would leave Tatar to play with Eakin and another winger like Ryan Carpenter, Daniel Carr, Curtis McKenzie, Oscar Lindberg, Tomas Hyka or another “bottom-six” type player. After coming to the Golden Knights at the deadline, Tatar never quite found a home in the Vegas lineup and his stats suffered mightily. Heck, he couldn’t even get in the lineup during most of the playoff run. Putting him back on a third line without bonafide playmakers like Stastny, Tuch, and Haula likely sets him up to struggle once again. Gallant is in a tough spot at the moment, basically with seven forwards to fill six slots. There are a lot of different combinations in which he can go, the question will be, does he try to find the best combination of three without any worry of what happens to the leftover player, or will he attempt to return to a more balanced lineup and possibly break the four non-first line guys into two pairs? Or, will a player or two emerge in camp to help fill the offensive void currently left on the third line? Maybe it’s just me, but I’m ready to be done with the speculation and get some answers. Unfortunately full training camp is still three weeks away. So, let the speculation continue. Tatar sounding like potential trade candidate at the deadline to me. Buyer’s remorse?? Not without a better try out than he has had for sure. Proven 20 goal guy gets a little time with stable line before deciding to dump him. I think he gets a good shot a the 2nd line. Like Haula at center for the 3rd line, put Eakin at a wing. I would like to see Haula on the 3rd line and Tatar up in the second line with Paul and Alex. Tatar is a very hard worker at practices and works very well with Tuch. I think given the opportunity Tomas Tatar and Alex Tuch will have a great season working with Paul Stastny. Alex Tuch works well with everyone and is good no matter what line he is in. Erik Haula is fantastic and works very hard and is a great leader. I believe he could greatly improve the 3rd line.